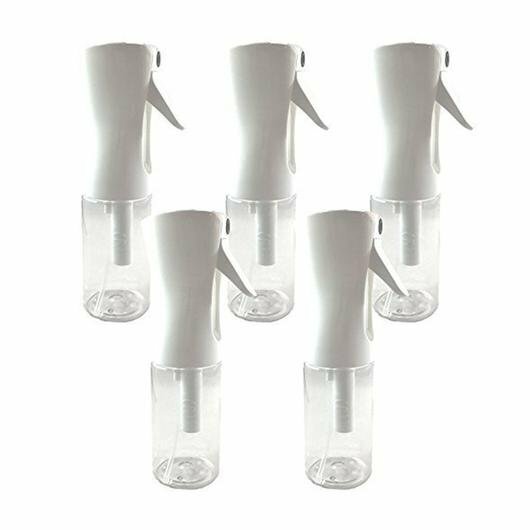 small 5 OZ BOTTLE, WHITE SPRAYER. White pump sprayer with clear bottle. Holds 5 ounces of liquid.